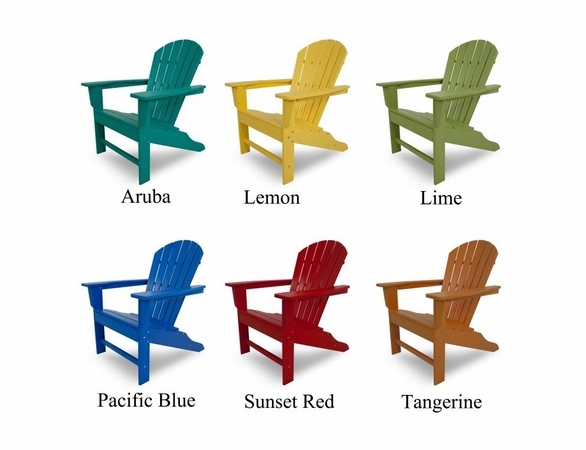 Are you looking to update your tired old outdoor decor? 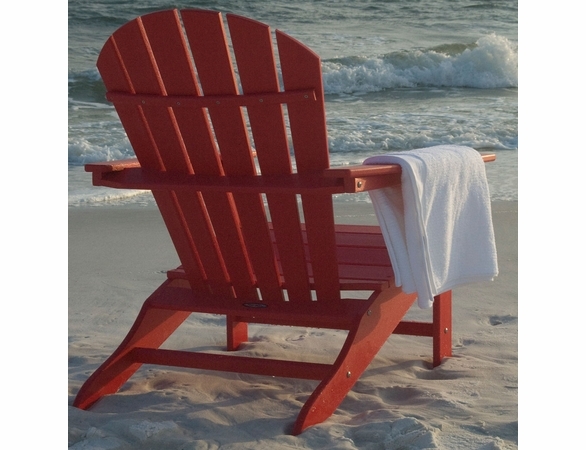 The POLYWOOD® South Beach Adirondack chair is a familiar sight, instantly bringing to mind warm summer days. 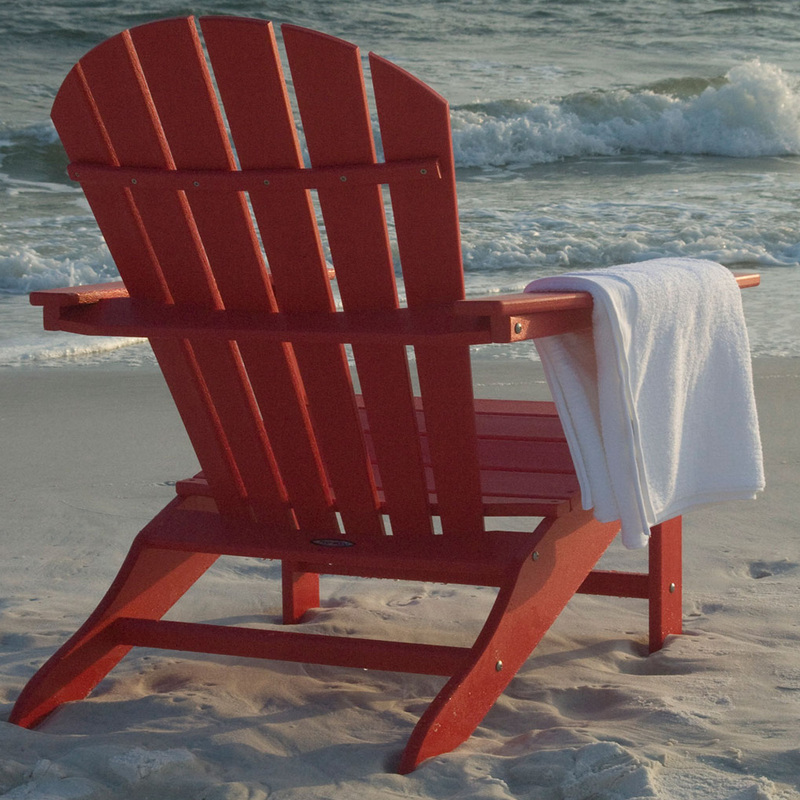 The South Beach style is roomy, with a contoured seat and curved back for optimal comfort. It has the appearance of wood, but it's far more durable. 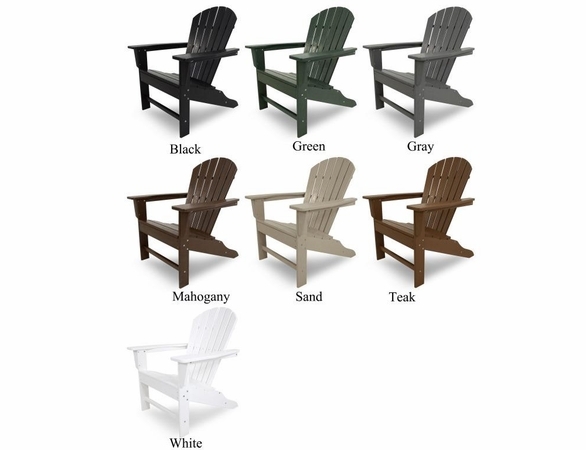 POLYWOOD® is an innovative update to the standard wooden Adirondack chair, as it's made entirely from high-density polyethylene (HDPE). 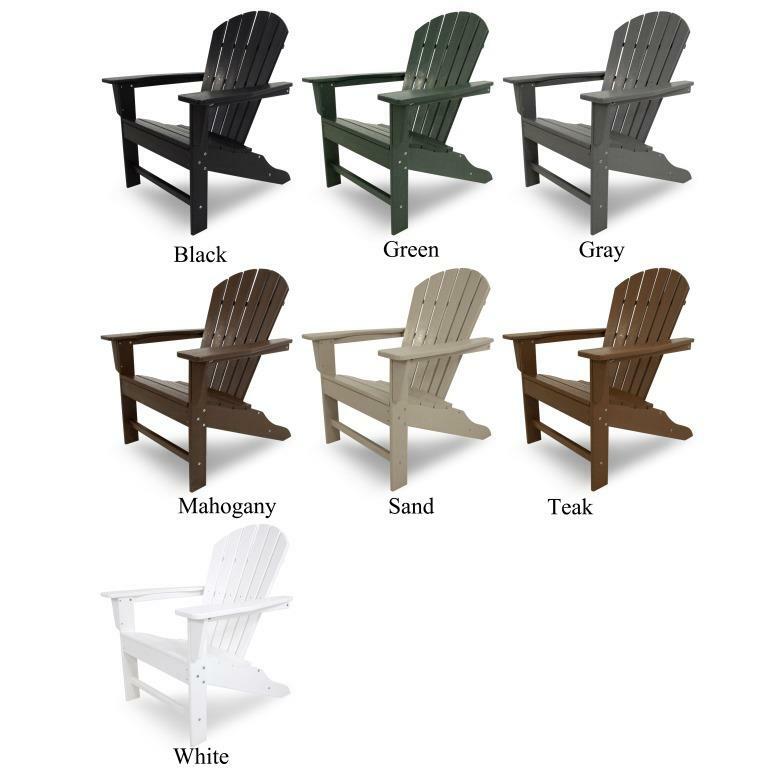 This special material, made with recycled plastic, is weather resistant for rugged outdoor use. 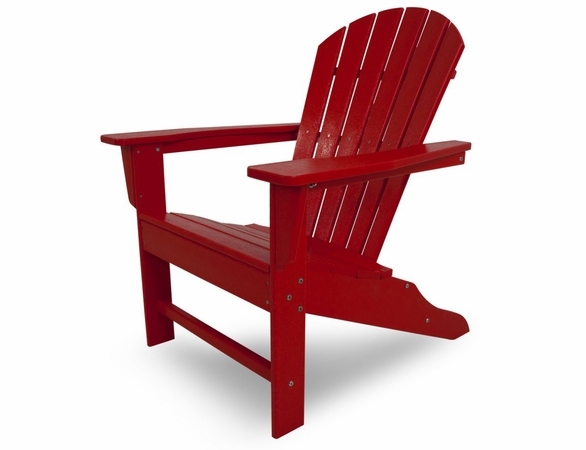 It won't peel, chip, splinter or rot, and its resistant to corrosion and fading. 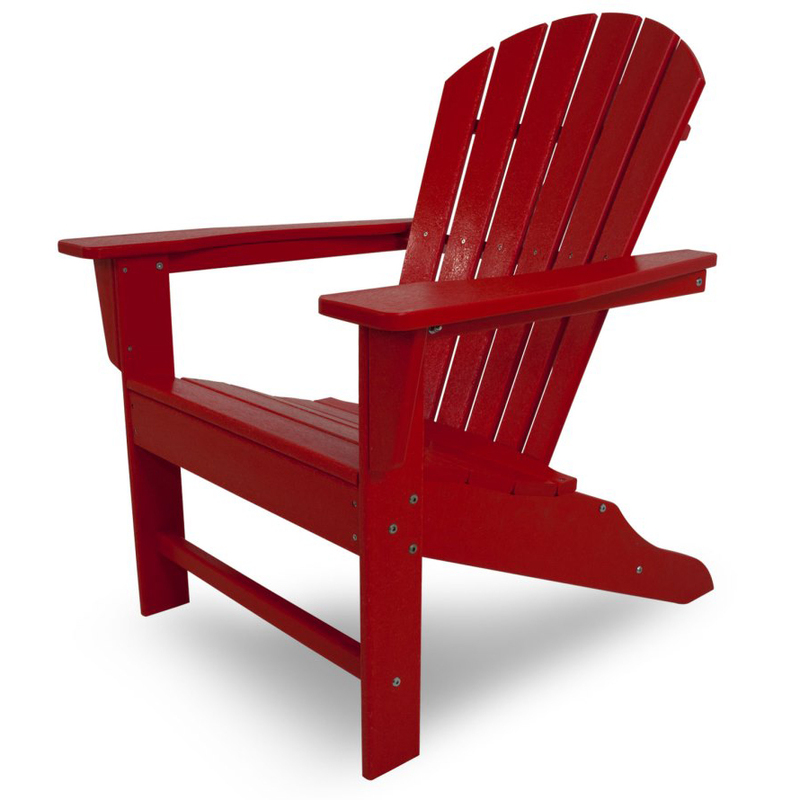 This Adirondack chair is available in several different frame colors for the appearance of painted wood and cushions are optional. 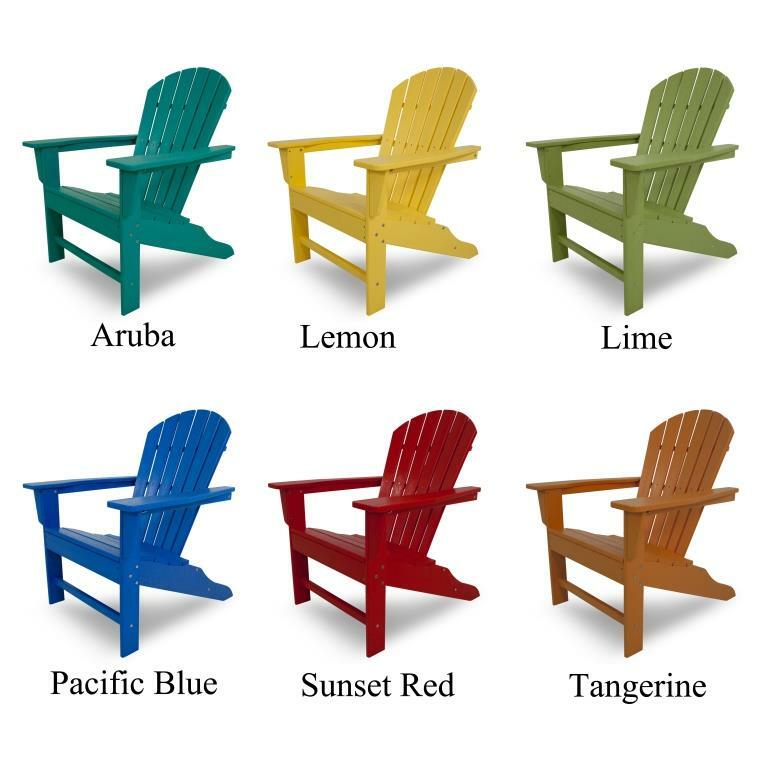 If you're looking for a POLYWOOD® Adirondack chair sale, see the POLYWOOD® Collection for several lines of Adirondack chairs available from Outdoor Furniture Plus. "We received our chairs and they are now sitting around the fire pit at our lake house here in TX. They look and sit great. Thanks for the follow up. Also, great customer service in your part. Thanks Again!"